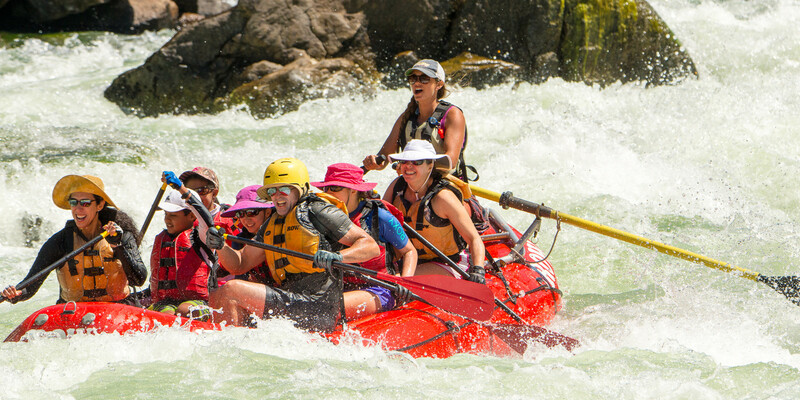 Our Family Magic Rafting Tours are truly the ultimate Family vacation. Exclusively offered to families bringing children, this unprescendented family adventure offers our singature River Jester™, a specially designed itinerary and menu and the perfect blend of adventure and relaxing. During my childhood, my father was fond of reminding me, “we’re going for a hike, not a fashion show.” As a (more or less) grown-up raft guide, I think I’ve come to understand his impatience with my pre-adventure sartorial indecision. A Dutch oven is defined as a cast-iron kettle with a tight cover used for baking in an open fire; a metal shield for roasting before an open fire; a brick oven in which cooking is done by the preheated walls; and a heavy pot with a tight-fitting domed cover. Before you get started on the Apple Crisp, read our tips on using the Dutch oven in the best possible way! "We're going to scout a rapid."